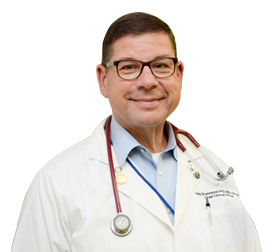 Join Hank Drummond, PhD, MDiv, BA, RN, Chief Clinical Officer for Cross Country Healthcare for the next installment of our Bedside Talks WebEx series. Dr. Drummond will be discussing what inspire nurses to be their very best. In the spirit of the holidays, we’re taking a moment to express our gratitude for our professional mentors. Almost all of us have another nurse or other healthcare professional who has helped to advise and guide us on our career path. Who is yours? Join us as we share our stories about who has inspired us and how. Mr. Drummond holds the position of Chief Clinical Officer within the Cross Country Healthcare. His experience includes more than 25 years' of healthcare administration and a broad base of management expertise. His past leadership roles include executive and director level positions as Chief Nursing Officer, Nursing Administrator and Nurse Executive. He has also served as an University Instructor. Mr. Drummond's proficiency in balancing patient care with business efficiencies offers healthcare providers the added benefit of an innovative approach with cutting-edge technology solutions to meet the daily demands of healthcare delivery in a rapid changing environment. Mr. Drummond serves on numerous Boards and Advisory Boards giving advice and recommendations to meet the needs of patients to ensure safety.